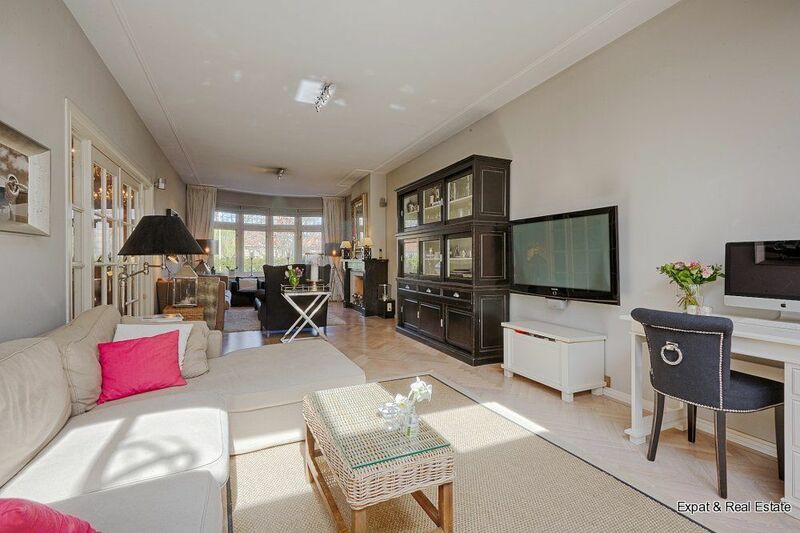 LOCATED AT THE BEAUTIFUL, GREEN BURCHTPLEIN, COMPLETELY RENOVATED WITH HIGH QUALITY MATERIALS, YOU WILL FIND THIS SURPRISINGLY LARGE MANSION WITH EXPANSION, LIVE-IN KITCHEN, 5 BEDROOMS AND 2 BATHROOMS. 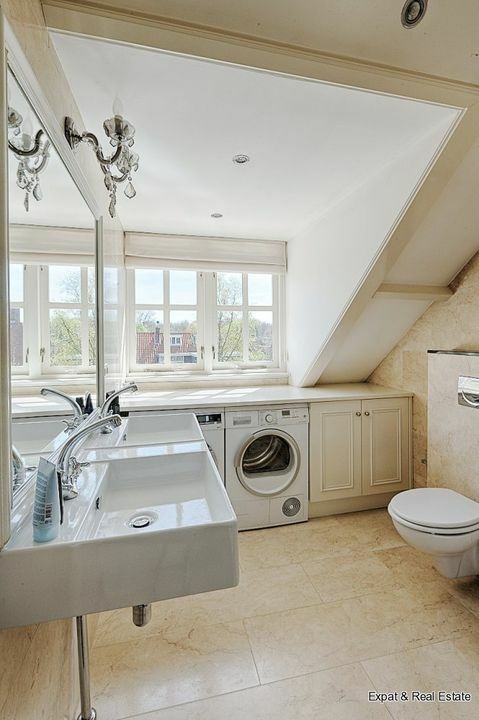 ALL THE LUXURY AND COMFORT YOU NEED! 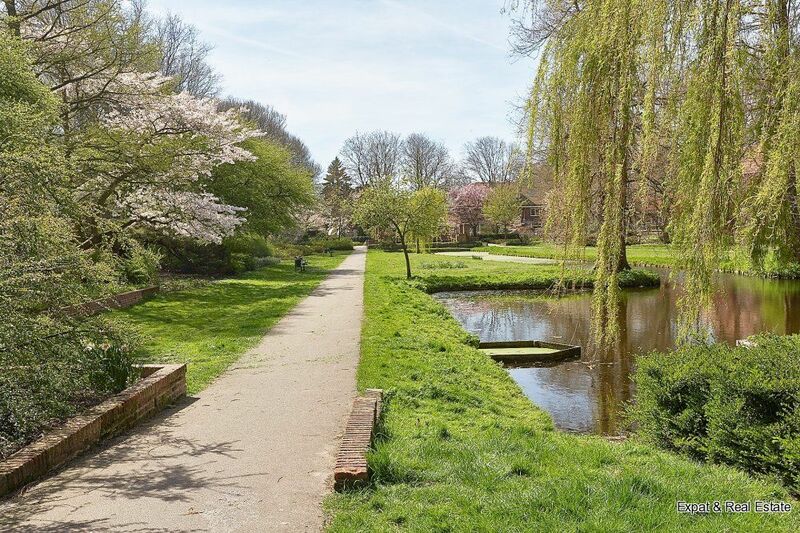 One of the most beautiful living locations in the center of Wassenaar. 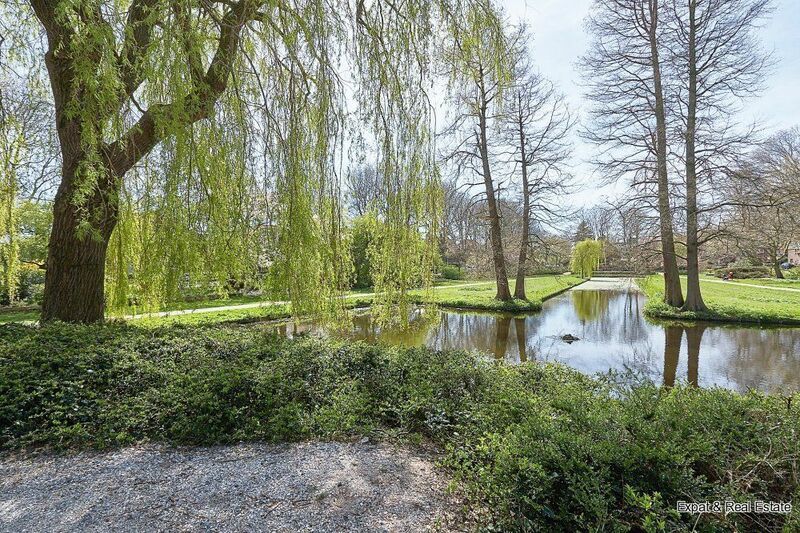 In the summer the surroundings are a gorgeous green and in winter everyone is ice skating on the pond. 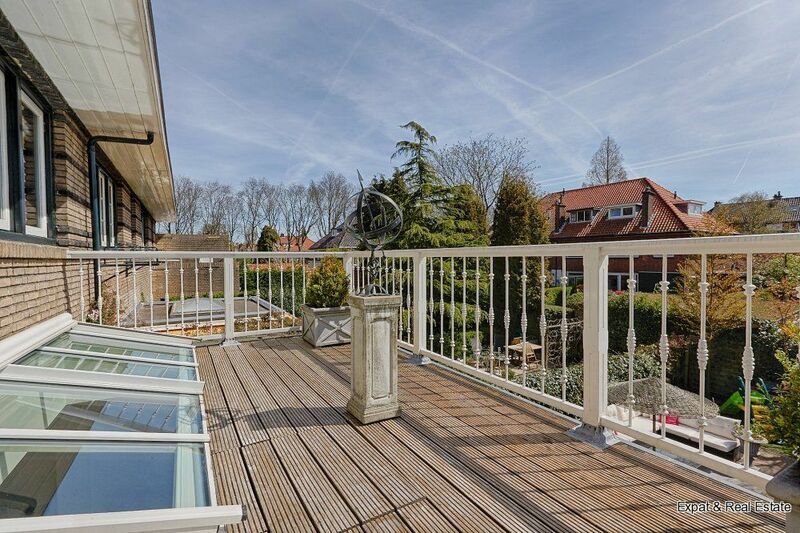 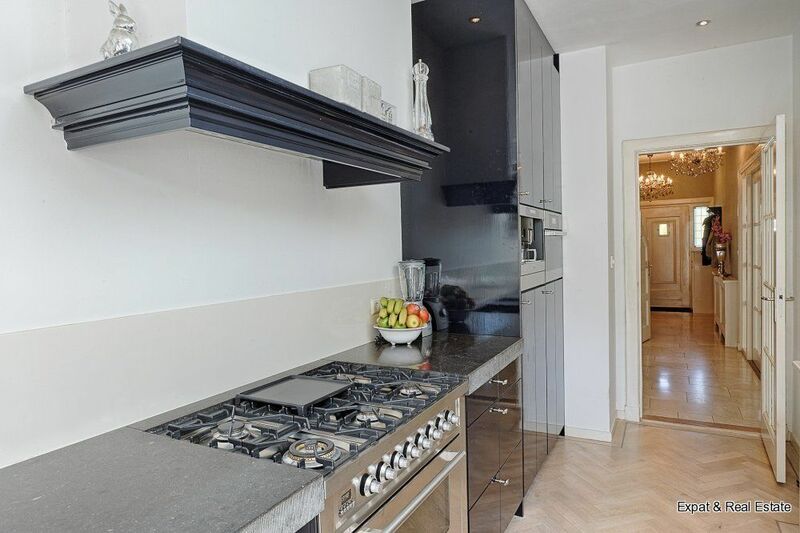 Within walking distance of shops, schools, theatre, swimming pool, nature, etc. 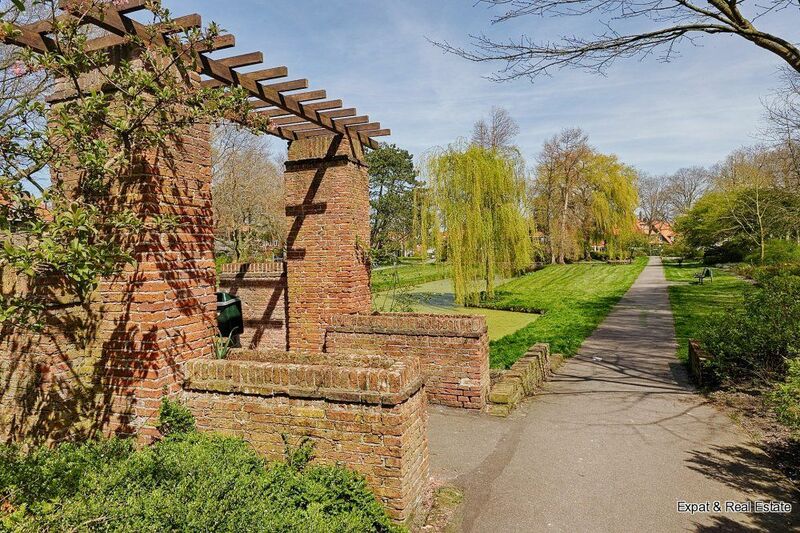 Access to the mansion through the lovely front garden with bike storage. 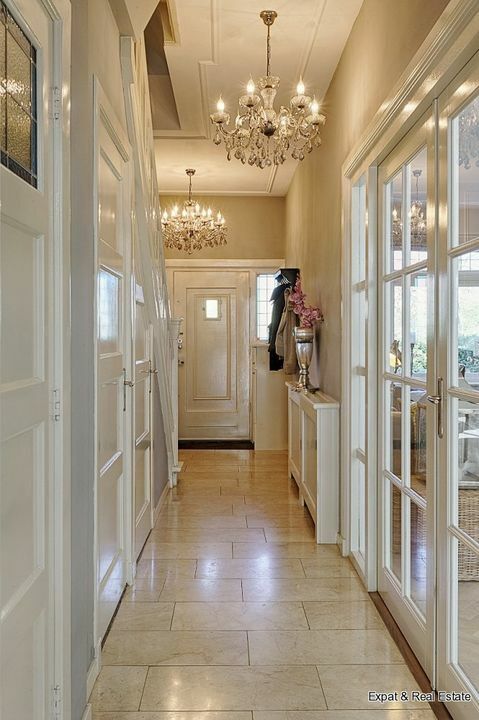 The entrance is equipped with a beautiful, light marble floor. 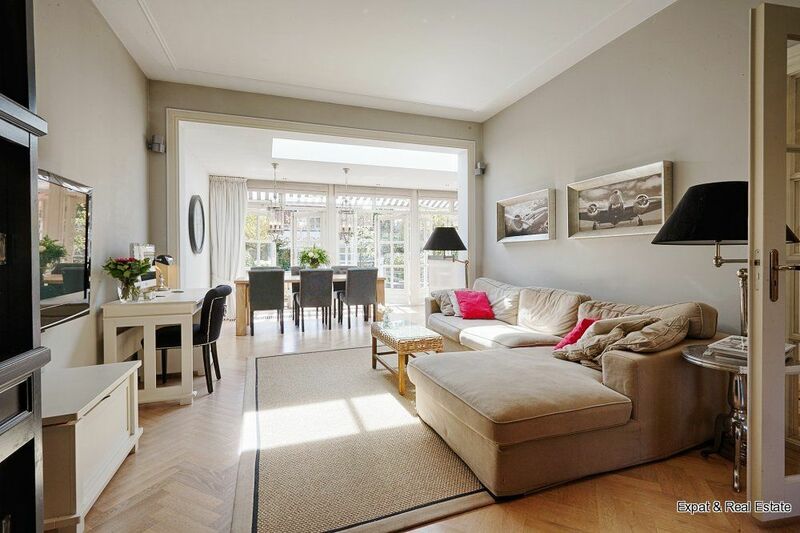 Through the double doors you will access the spacious living room of approx. 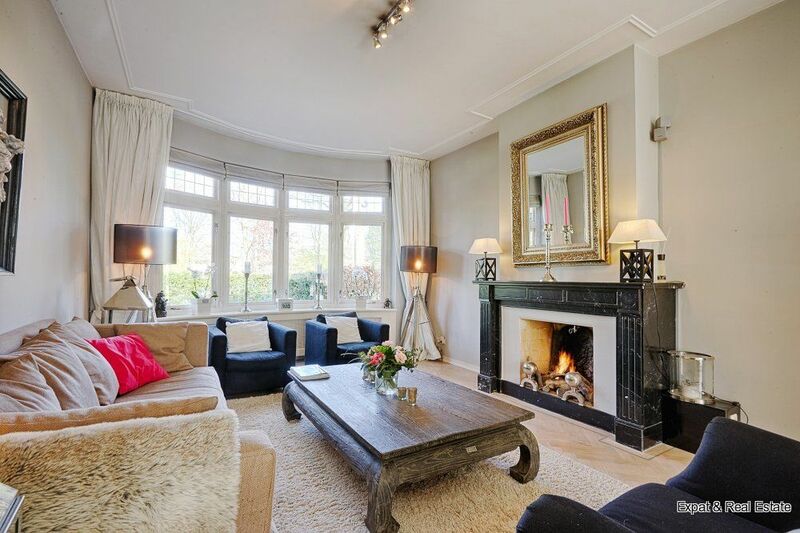 10.15m x 3.95m with natural stone chimney, bay window, herringbone parquet floor and entrance to the dining area. 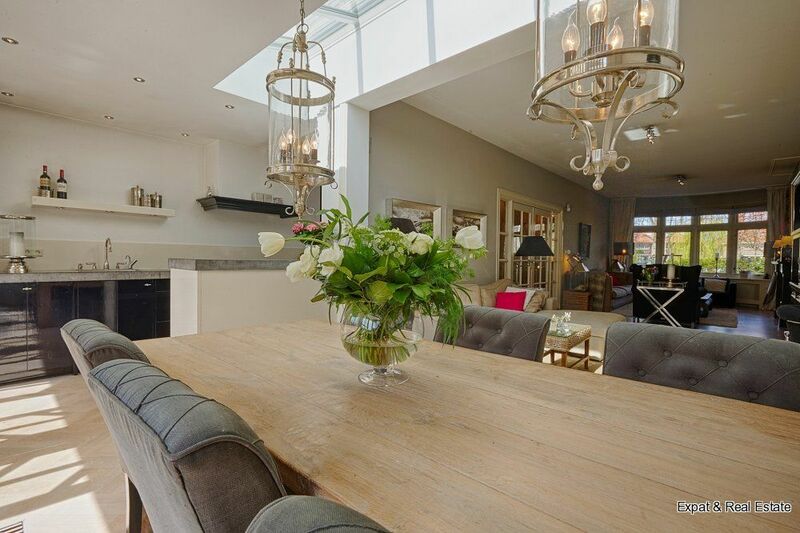 The wonderful expansion is equipped with glass roofing with electric sunscreen and 3 double doors opening up to the back yard. 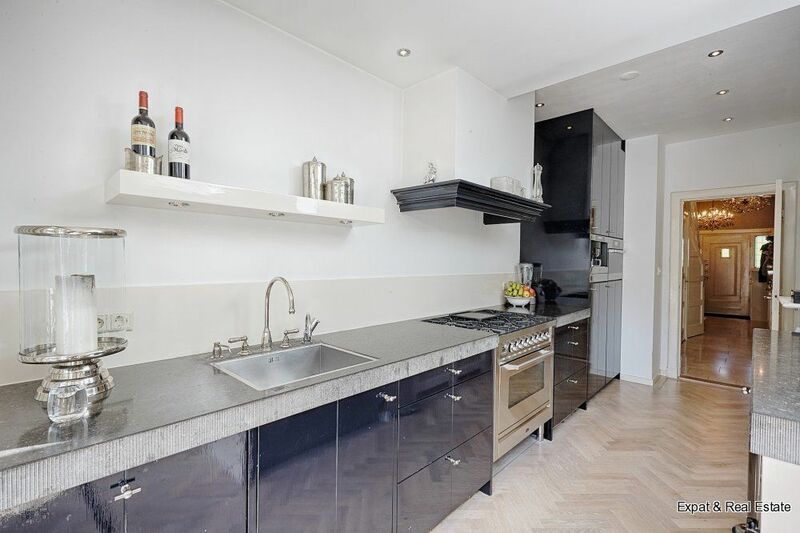 The luxurious half open kitchen with Belgian hardstone kitchen counter is fitted with 6 hob Boretti gas stove with large oven, Quooker, Miele steam oven, Miele built-in coffee machine, Miele microwave and of course with refrigerator, freezer and dishwasher. 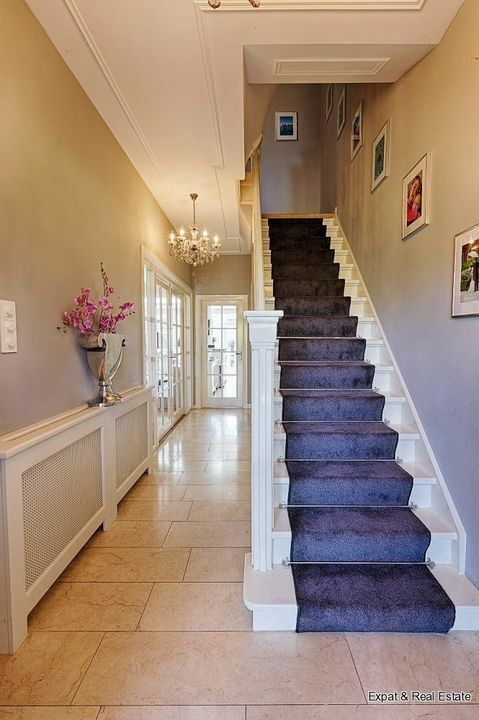 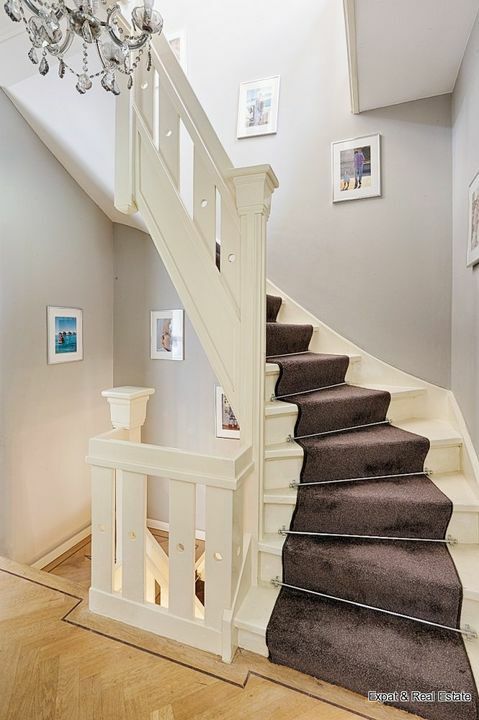 In the hallway you will find the marble toilet with washstand, spacious built-in cubboard with boiler (2007), access to the basement (2.45m x 1.90m) and luxurious stairs with carpet to the first floor. 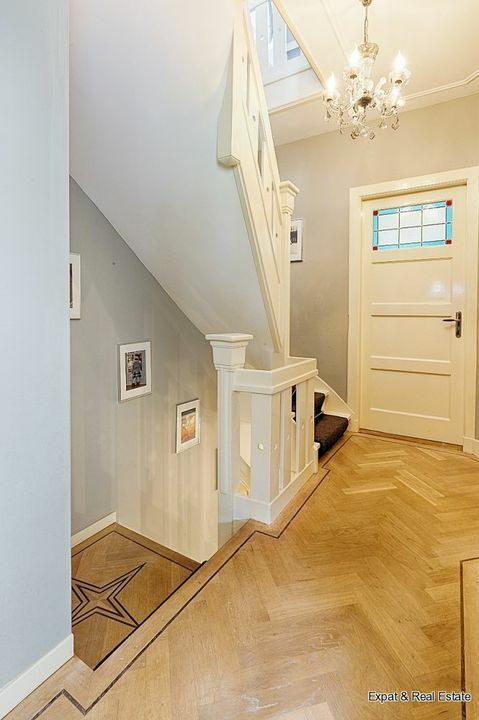 The entire floor is equipped with the original panel doors with stained glass windows and beautiful herringbone floors. 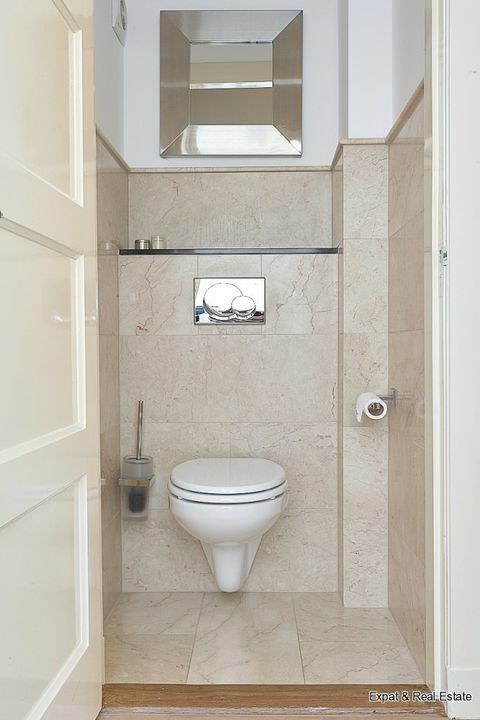 Landing with separate marble toilet, master bedroom (4.15m x 3.95m) with dressing room (3.00m x 2.15m) fitted with built-in wardrobes at the back of the property. 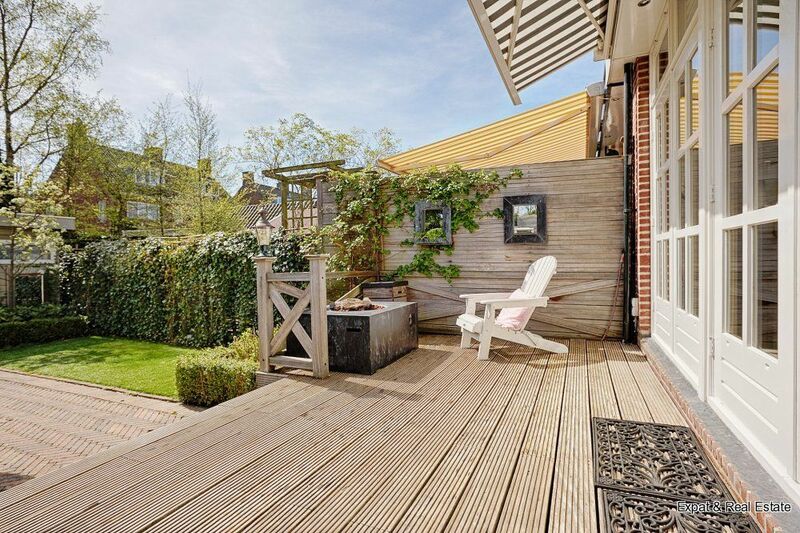 The master bedroom offers access to a lovely sun terrace with Bankirai parts. 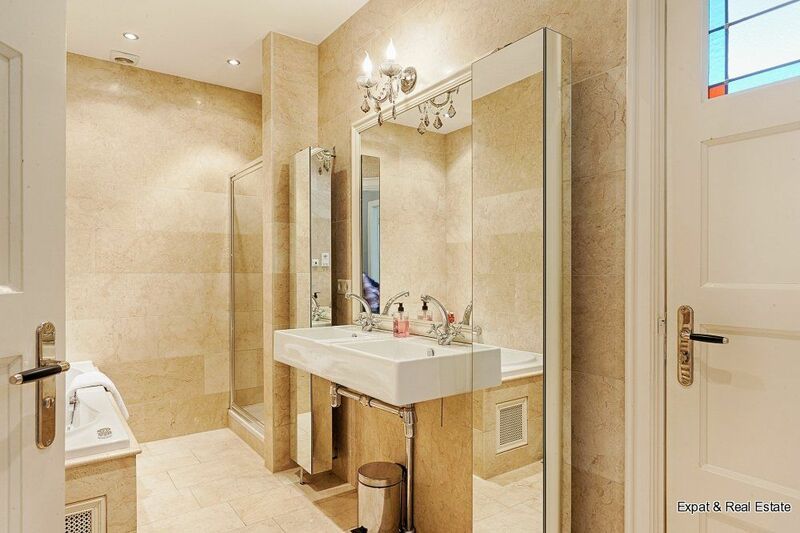 The marble bathroom is equipped with floor heating, whirlpool, double washstand and shower. 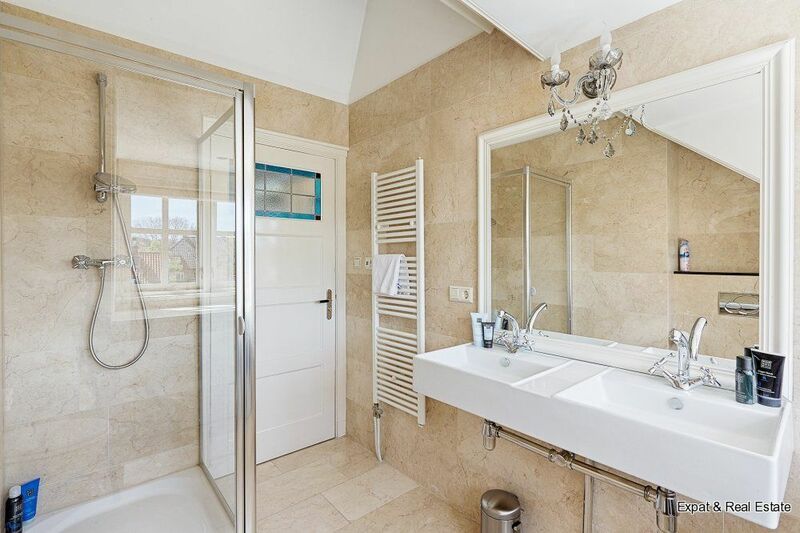 From the bathroom you can access both the landing and the master bedroom. 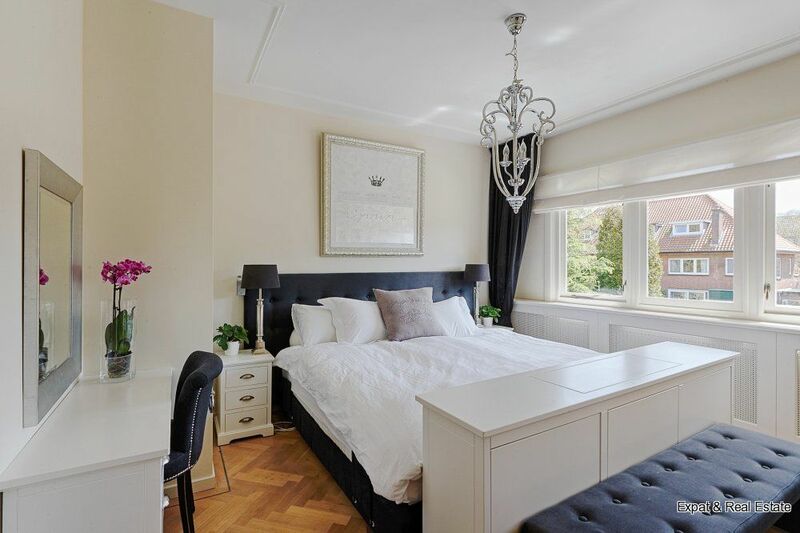 Second bedroom (3.75m x 3.95m) with bay window at the front which offers a wonderful view of the park. 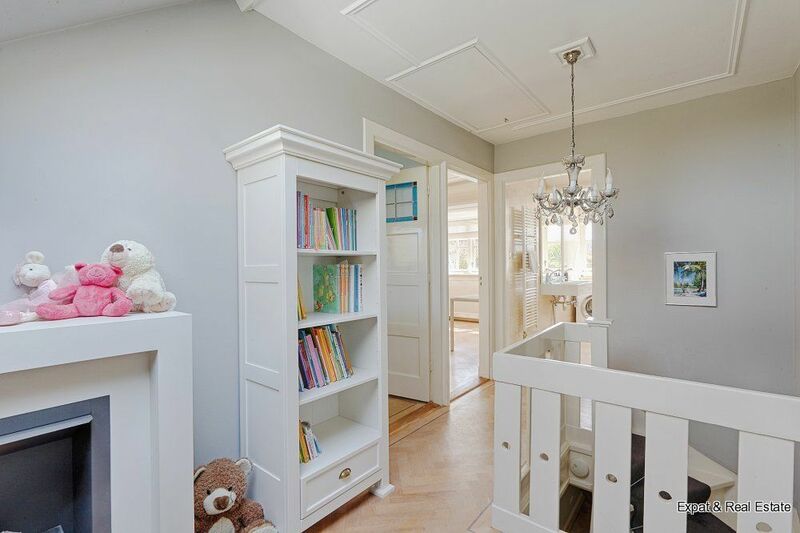 Third bedroom/study (3.00m x 2.15m) at the front, stairs with carpet to second floor. 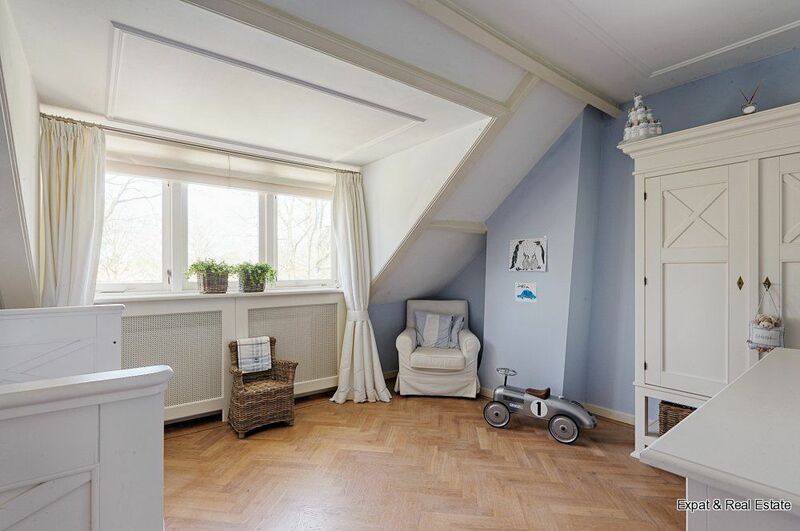 This floor is also fitted with the original panel doors with stained glass windows and beautiful herringbone floors. 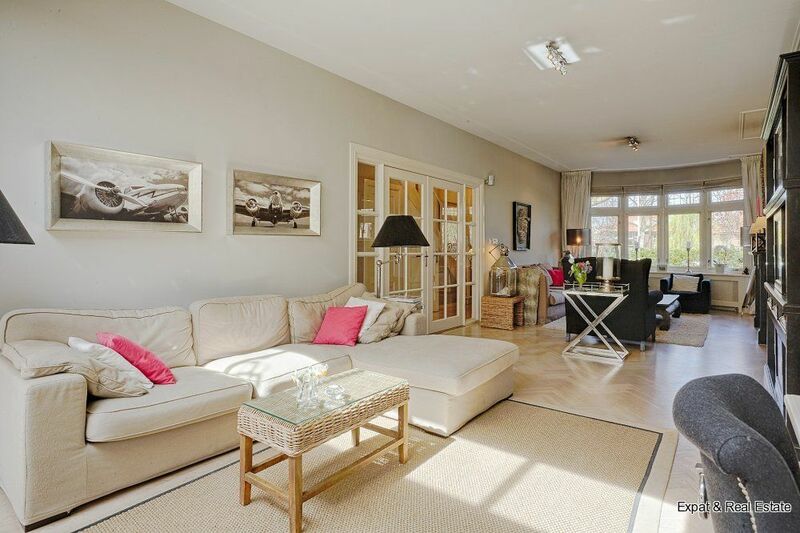 Spacious landing with skylight, 2 bedrooms (4.20m x 3.95m and 3.95m x 3.60m) of which one has a view of the park. 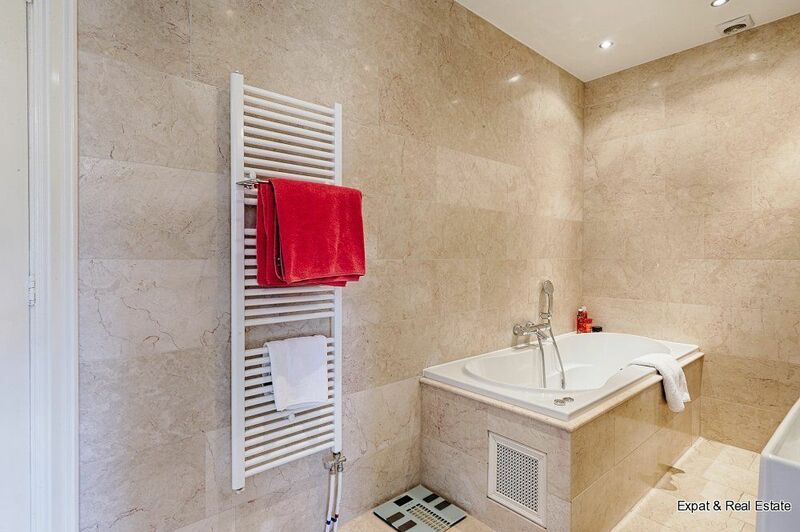 Marble bathroom with floor heating, shower, toilet, double washstand and room for washer and dryer. 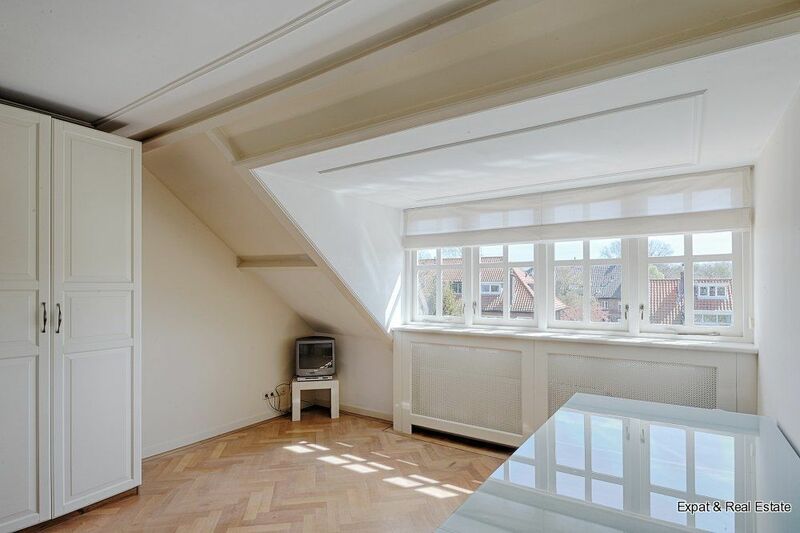 The spacious loft can be reached with the loft ladder. 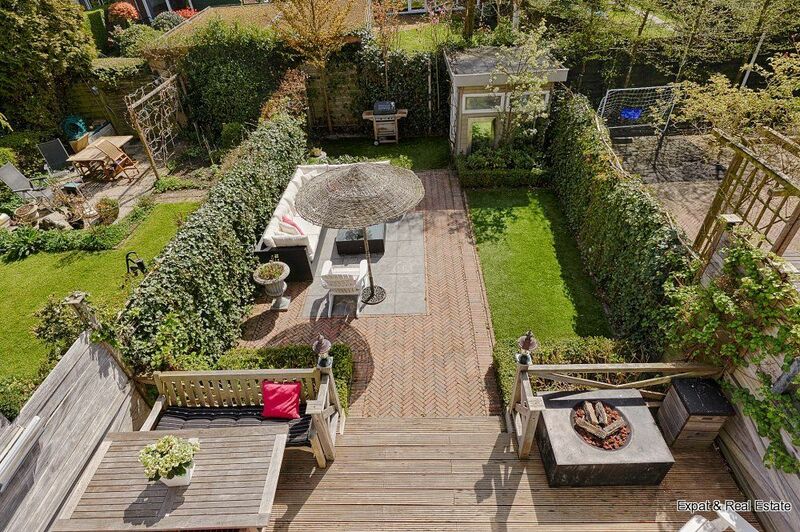 Beautifully landscaped back garden of approx. 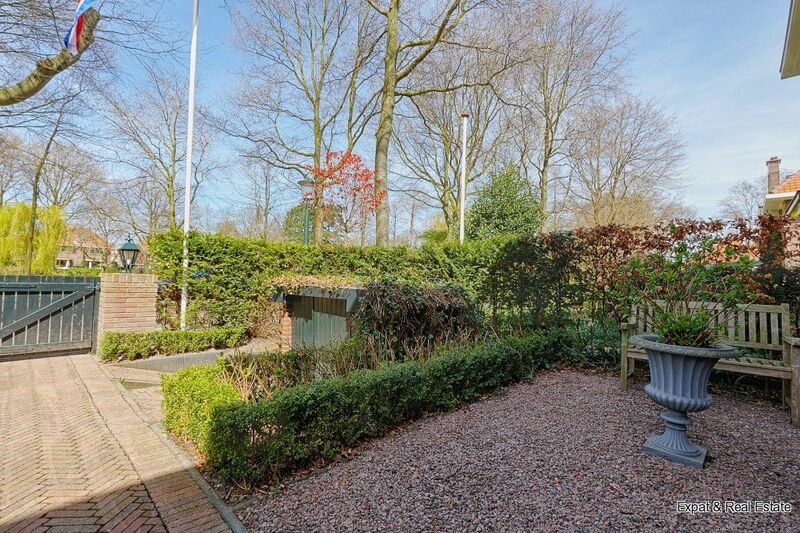 12.50m x 6.30m facing South East with lovely wooden terrace (Bankirai parts) and a detached wooden storage shed. 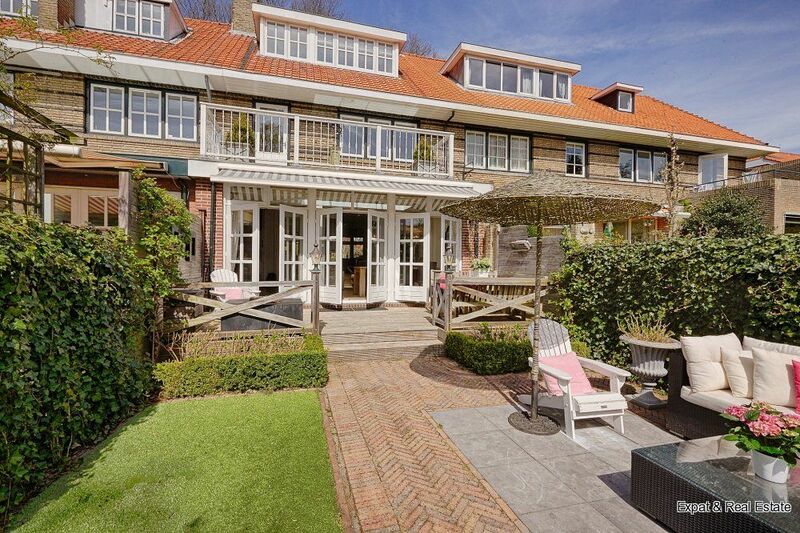 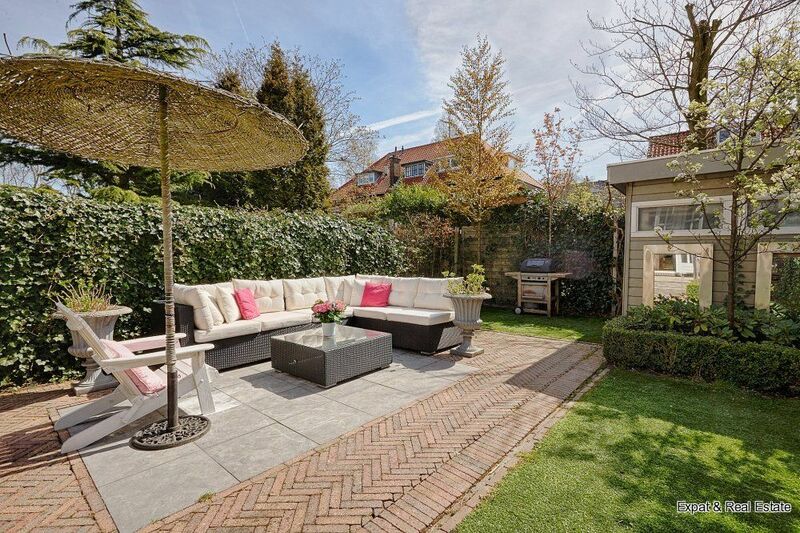 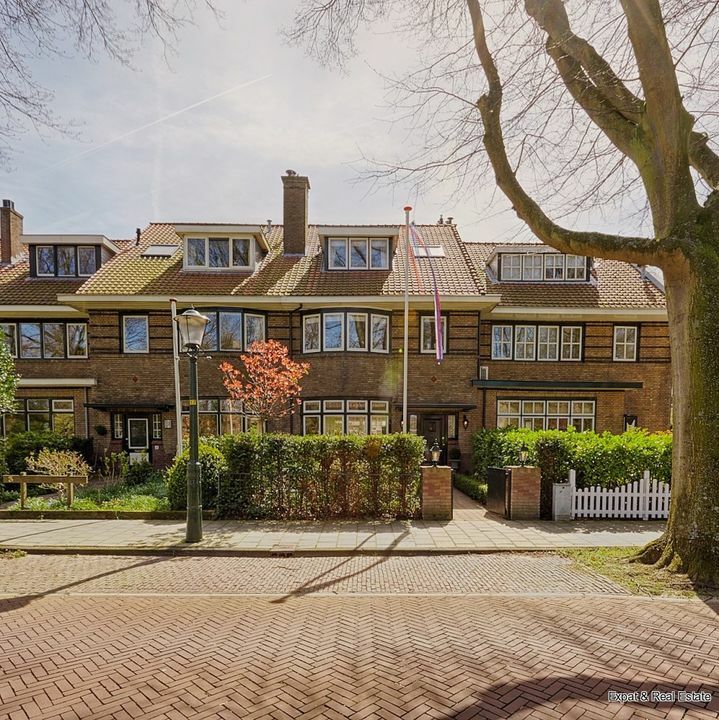 IN SHORT, A PROPERTY THE LIKES OF WHICH ARE SELDOMLY OFFERED FOR RENT IN WASSENAAR!! 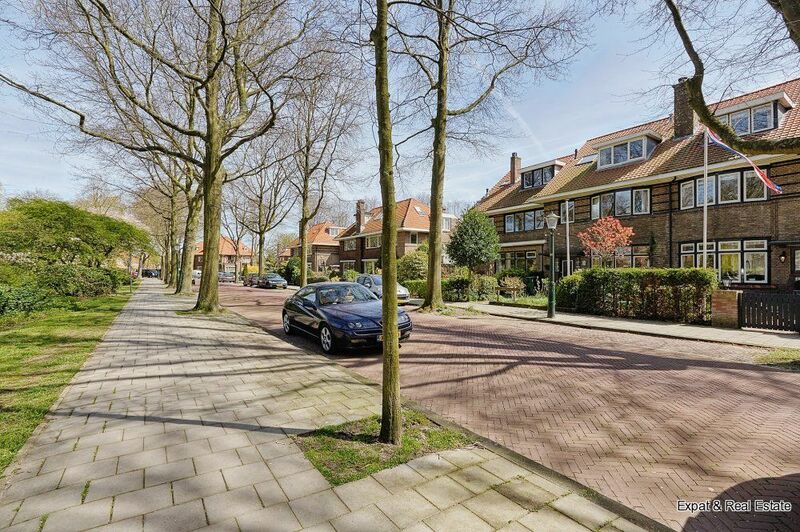 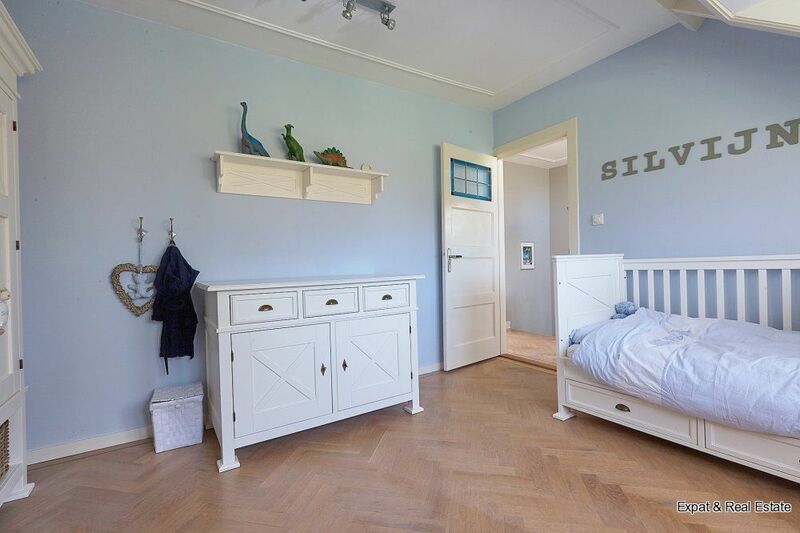 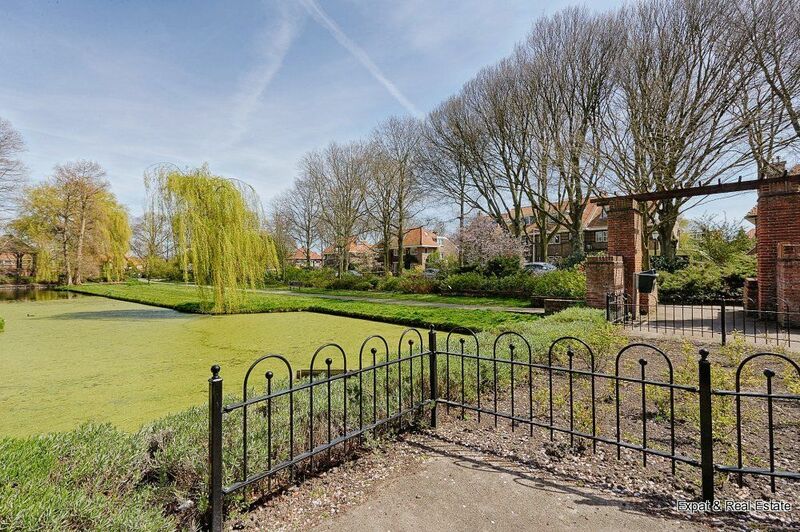 -	Located at the beautiful park at Burchtplein with pond, playground and beautiful trees. 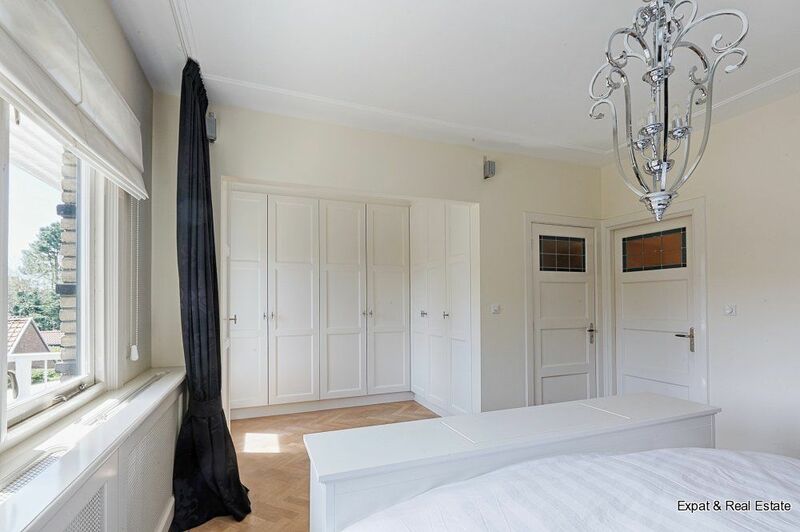 radiators are fitted with covers. 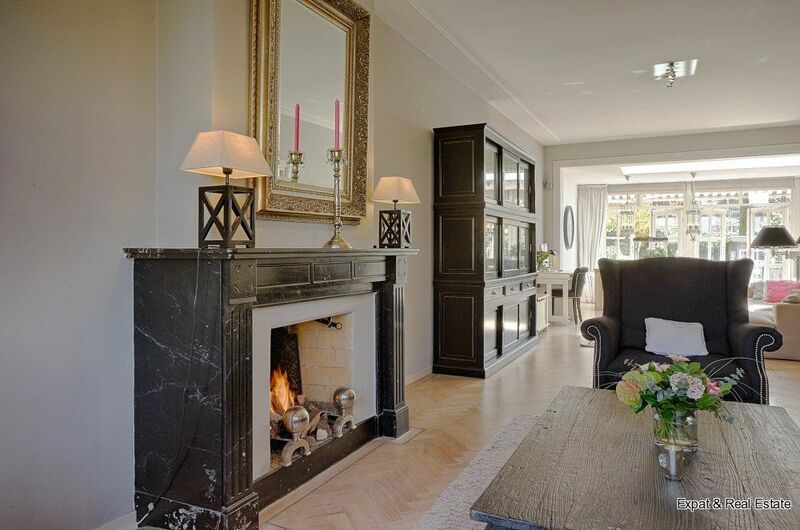 Luxurious finish. 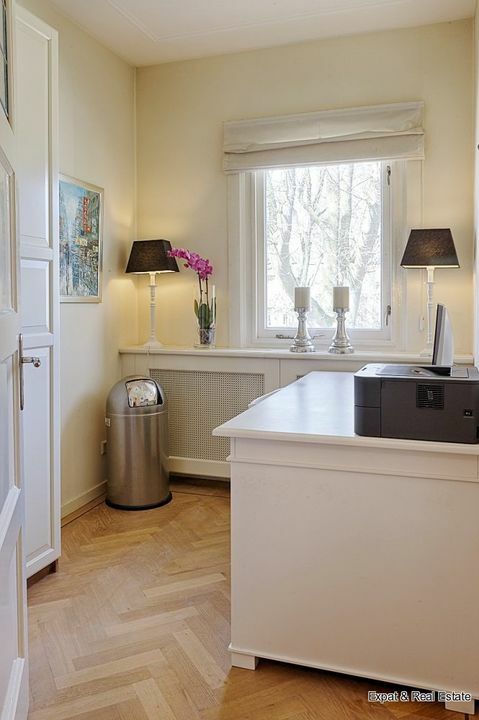 -	5 spacious bedrooms, 2 bathrooms and 3 toilets. 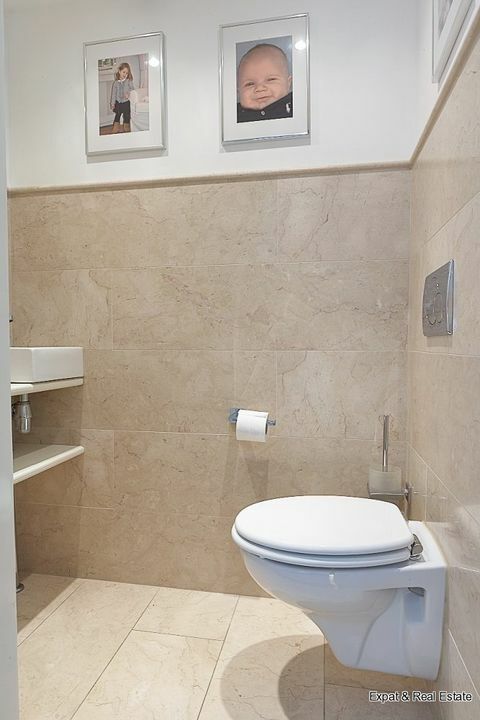 -	The marble bathroom floors are equipped with floor heating.